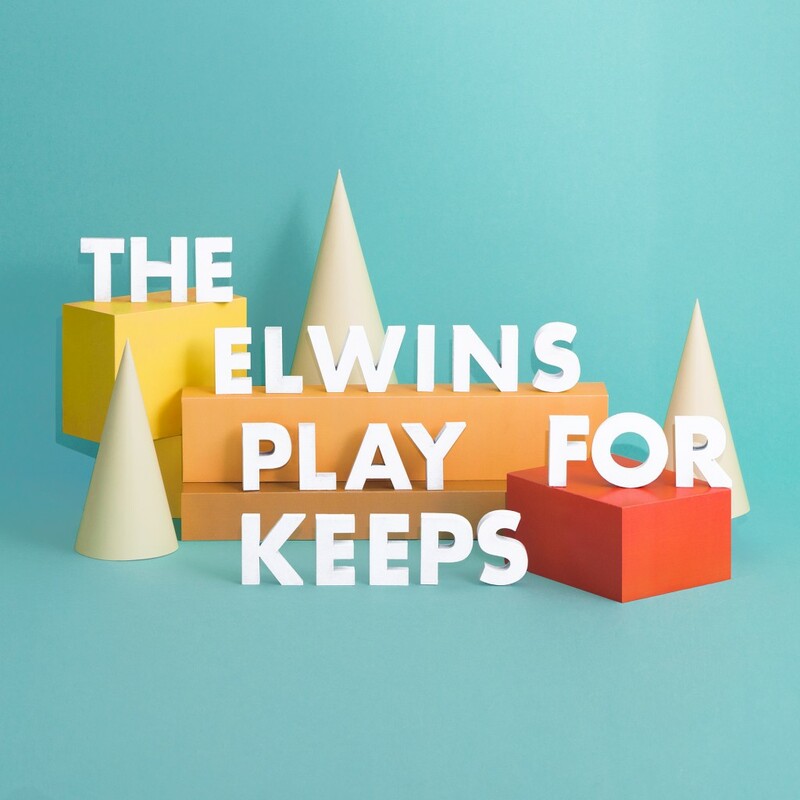 A week ago I gave The Elwins’ upcoming album Play for Keeps a listen, and right off the bat I liked it, but I felt too lazy to write a review. Today, a week later, I was browsing through my music library and saw that I had played the album through in its entirety … 22 times. I’ve listened to this album 3 times per day for the past week. Time to put pen to paper. On the surface everything about the Elwins’ second studio album is whimsical, light, and fizzy, from the colorful building blocks on the album cover (which read all the way through says “The Elwins Play For Keeps” – Baller) to the first bouncing beats of “Bubble.” The fivesome from Ontario produce indie pop that brings to mind Pop Rocks and Coke: crunchy, sweet, sizzling with good humor and fun, and crackling wickedly with energy. But like any semi-explosive concoction, there’s an element of complex and dark inner workings to the tracks. While the Elwins produce a form of breezy, infectious pop with ease, it’s layered over an underlying current of darker questions and revelations, and it’s this pairing of light and dark that makes the music stick with you. The album kicks off with “Bubble,” an effervescent tribute to love, but love that takes you too high too fast, Icarus style: “You fill me up, I fly away/you get me high, I feel the rays/I know I’ll pop, I know I’ll fall/but in this flash, I’ve got it all.” With its deceptively summery beat and addictive rolling gait, the song sends you headlong into the album with abandon. And abandon is a necessary component if you’re listening to the album – this is not background music. As much as the tracks may have a darker side to them, it never obscures the fun of the music – in fact it enhances it. Spilling over with vibrant and hooky guitar, the tracks are nothing if not catchy. Every time I listen to track 5 of this album “Bringing Out The Shoulders” no matter where I am, in public or private, I have to give a back and forth hair whip at 0:34 to the beat drop that comes along with the question “how much longer/will I have to wander?”. Track 4 “So Down Low” also plays into the breezy but dark theme, with the band explaining that it’s about trying to do the right thing, but ultimately failing and knowing that you’re failing. Much like the shining star in the last track, or the bubble floating into the sun on the first track, at under 40 minutes Play for Keeps is a short but brightly burning thing of beauty. The album drops February 24th on Hidden Pony Records. Give it a listen. Or 22.